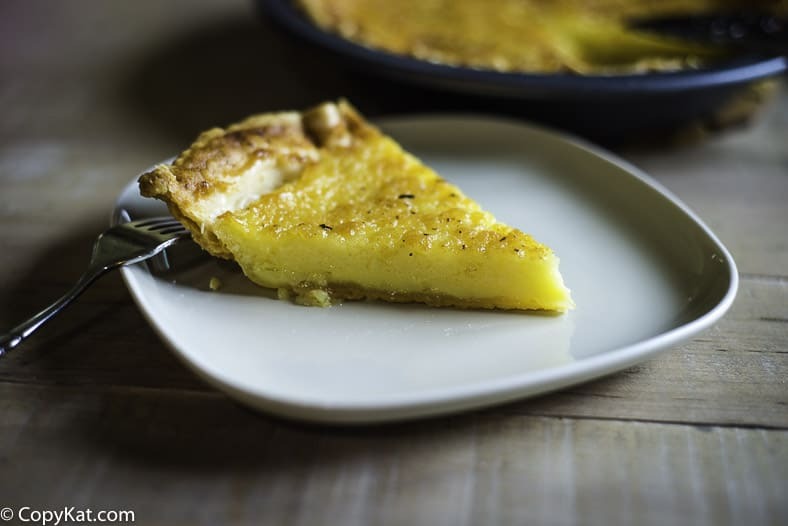 Home » Copycat Restaurant Recipes » Colonia Cottage Buttermilk Pie – try this old fashioned easy to make pie. Colonia Cottage Buttermilk Pie – try this old fashioned easy to make pie. Buttermilk pie is a classic many of us have grown up having enjoyed. This is a terrific pie for when you don’t have a lot on hand, but still, want to make dessert. This is a custard-like pie that is good both warm out of the oven and later chilled. A lot of people love buttermilk pies. It is a wonderful creamy custard pie that you don’t often see in stores, bakeries, or in restaurants. So if you want one of these old-fashion pies, you are going to have to prepare one yourself. Did you know it is super easy to make this pie? If you can measure and stir, you can make one of these amazing pies. 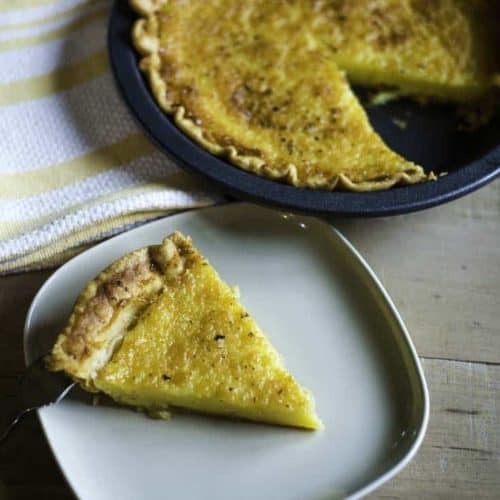 What’s the difference between a buttermilk pie and a buttermilk chess pie? A buttermilk pie filling is made of sugar, butter, eggs, buttermilk, and flour. People add vanilla, lemon zest, and nutmeg for variety. 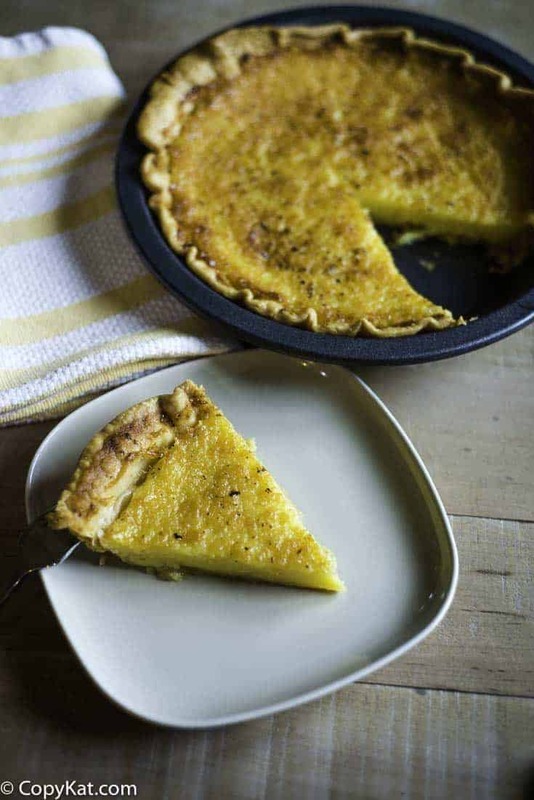 A chess pie has its origin in New England. Cornmeal was added instead of flour to help the pie stabilize. Are both pies completely delicious? Yes! Buttermilk Pies are easy to make, enjoy this Southern pie. Place beaten eggs in a medium bowl. Gradually beat in sugar. Stir in melted butter, salt, flour, buttermilk, and vanilla extract. Mix until smooth. Pour mixture into pastry shell, and sprinkle top of the pie with nutmeg. Bake in preheated oven for 50 minutes. Reduce heat to 325 degrees F (165 degrees C). Bake an additional 10 minutes. Pie is done when a toothpick inserted in center comes out clean. I personally like to start all of my ingredients when they are room temperature. So that means I take my eggs out about 20 minutes before I need to use them. Baking is better when the temperatures of the ingredients start from as close of a range in temperatures as possible. I recommend purchasing commercial buttermilk for this recipe. I believe your results will be more consistent than making homemade buttermilk. This pie is best eaten while still warm. You should store this pie in the refrigerator. Custard pies should always be stored in the refrigerator. I was so glad when I found this recipe my Grandmother made buttermilk pie for every holiday and my Dad loved it. I made one for him and he said it was as good as his mothers! I will be making this every Christmas and Thanksgiving!